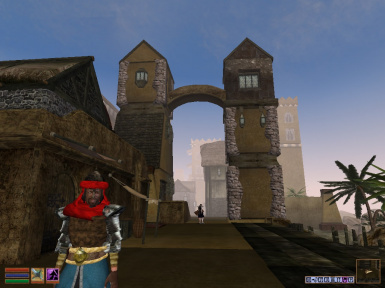 Stros M'Kai in the Thrid Era is a mod for The Elder Scrolls III; Morrowind. 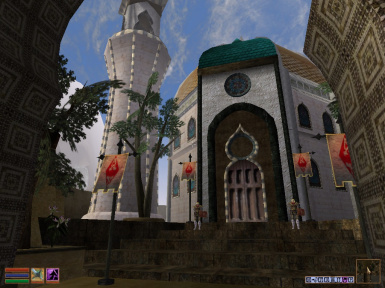 The mod seeks to imagine what the Island of Stros M'Kai would be like during the time of the Nerevarine. 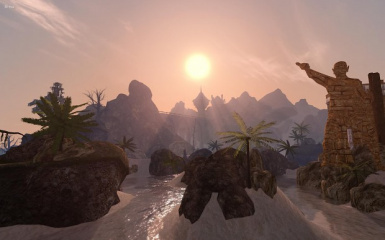 Stros M'Kai is an island off the coast of Hammerfell in which the Elder Scrolls Adventure; Redguard takes place during the second era of Tamriel. Our hero the Nerevarine (the player) hears rumors of a merchant ship traversing to and from Hammerfell. Curiosity drive the hero to explore the wider reaches of the Empire, taking the hero to the small Island of Stros M'Kai. Upon arrival the hero discovers a terrible plague has broke out on the island, forcing most residents to remain indoors and off the streets. Upon further investigation, the hero uncovers a mysterious ancient magick used by the ancestors of the Redguards and uncovers a sinister plot to drive the Empire and all non-natives from Stros M'Kai. The hero decides the fate of Stros M'Kai, will you defend the Empire and stop the plague, or will you join the rebels and drive the Empire from the home of the Redguards? 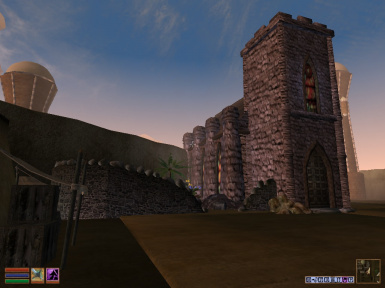 So far in development, the player can only follow the quest line in favor of the Empire; however, development plans are being made for a full out quest tree involving several possible endings. We would like your input on what direction we should take the quests in future releases. Please PM me or join the Stros M'Kai message boards. This alpha release is installed like most other mods. Unzip the .7z file using 7 zip. Within the folder will be a file named "Stros 10.5.18.esp" and a folder named "Data Files". 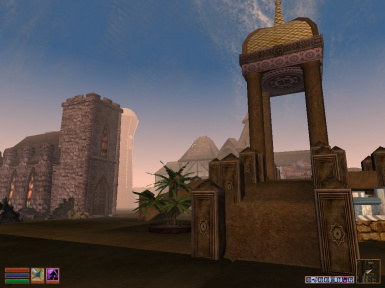 Copy these folders and file to your Morrowind directory, commonly found in "C:\Program Files (x86)\Bethesda Softworks\Morrowind" or "C:\Program Files (x86)\Steam\steamapps\common\Morrowind" for those playing with the Steam version. 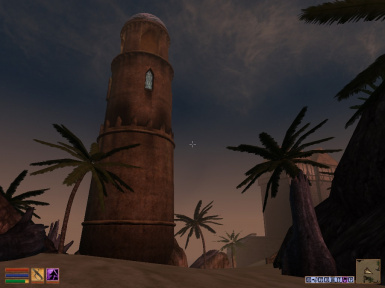 Several of the models in this mod use existing Morrowind textures, so if the copy and paste prompt asks if you would like to replace existing files, bear this in mind. This initial release is an alpha and will certainly have a number of bugs to work out. Post bug reports in the summary comments section. The "good guy" quest in favour of the Empire is the only finished quest ending so far. 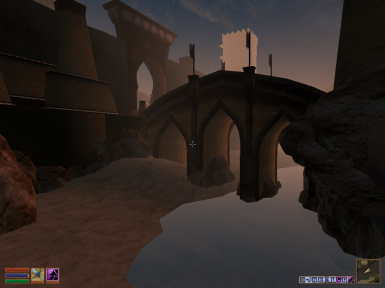 This mod should be compatible with any other Landmass Mod, including; Tamriel Rebuilt, Project Tamriel, etc... Should be compatible with OpenMW (untested) and compatible of course with Steam and disk versions of the game. Requires the Tribunal and Bloodmoon expansions.